Rancho Mirage Country Club Casual Open Houses. This weekend’s Scott and Jim Desert Homes at Harcourts Desert Homes offers Open Houses in Rancho Mirage’s Morningside Country Club. Let the Open Houses begin and start planning your pool party. Enjoy! A singular home at Morningside Country Club with unique wrap-around pool, 3 en-suite bedrooms and over 3,000 sq ft of living space. The living room has a beamed cathedral ceiling and fireplace with walls of glass out to pool, patios and view. The large chef’s kitchen has a double oven, 6 burner stove, SubZero fridge, walk-pantry and pass-through to the outdoor barbecue area. Dining is formal or casual in the dining room, breakfast area or on the patios. This home’s wrap-around pool is for everyone with a lap lane, wide steps for lounging and generous spa. Morningside Country Club is a 24-hr guard-gated community with a Jack Nicklaus Signature 18 hole golf course, tennis, club house and concierge service. Listed by Scott Palermo and Jim Sanak, 760-808-6415. 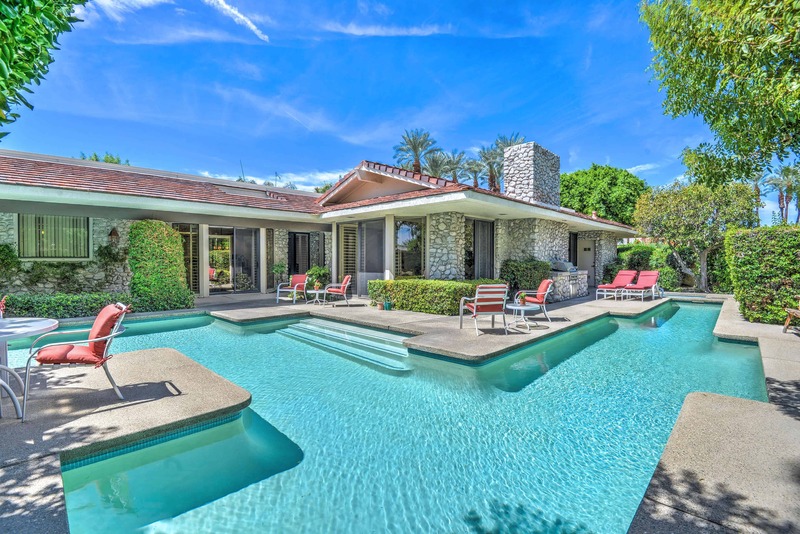 Enjoy the Rancho Mirage Country Club Casual Open Houses.